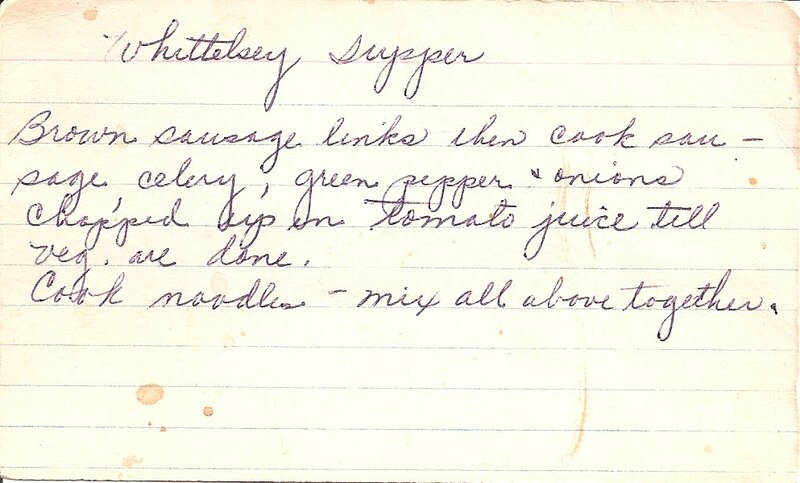 I'm not sure what the origin of this recipe is or whom it might be referring to... it almost sounds like a stew. cook some sage, celery, green pepper & onions chopped up in tomato juice till veg are done. Cook noodles - mix all above together."